The post ‘We’re not Occupy’: Extinction Rebellion to leave London roadblocks appeared first on Climate Home News. 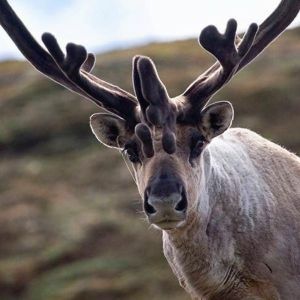 The post The Paris Agreement always needed Extinction Rebellion and Greta Thunberg appeared first on Climate Home News. 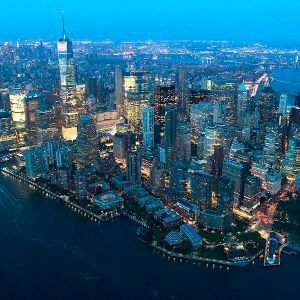 The post New York city bans inefficient glass skyscrapers, WA state to end coal appeared first on Climate Home News. The post Bloomberg plugs US funding gap for UN climate body appeared first on Climate Home News. The post We need a Green New Deal for Europe appeared first on Climate Home News. The post Climate Weekly: Activists hold London landmarks appeared first on Climate Home News. The post Extinction Rebellion proposal inspired by Irish climate, abortion breakthroughs appeared first on Climate Home News. The post Have hope, humanity is finding ways to defeat climate change appeared first on Climate Home News. The post Rwandan farmers lead tree-planting effort to meet rising wood demand appeared first on Climate Home News. The post Leading climate lawyer arrested after gluing herself to Shell headquarters appeared first on Climate Home News. The post ‘Risk to economic stability’: 23 finance ministers pledge climate action appeared first on Climate Home News. The post As climate fight enters new phase, local responses are starved of funding appeared first on Climate Home News. The post World Bank criticised for coal, oil and gas funding appeared first on Climate Home News. 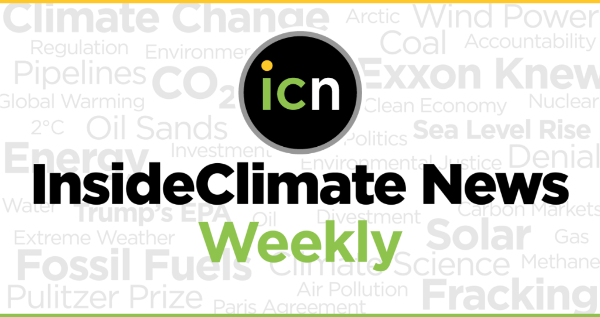 The post Climate Weekly: Eyes on new World Bank chief appeared first on Climate Home News. The post Chile reveals venue, climate champion for Cop25 summit appeared first on Climate Home News. The post EU, China agree to work together on clean energy appeared first on Climate Home News. The post India elects: Congress takes on Modi with green promises appeared first on Climate Home News. The post EU must back indigenous people against Bolsonaro’s attacks appeared first on Climate Home News. The post Rwandan landslide casts a long shadow over survivors appeared first on Climate Home News. The post Climate finance misses its mark in Ugandan landslide zones appeared first on Climate Home News. More than 141 million people in the United States — 43 percent of the population — live in places where they breathe unsafe air, according to a new report from the American Lung Association (ALA). That number is 7 million more than reported last year, and demonstrates the impact climate change is having on air quality and public health, scientists warn. Police have arrested more than 1,000 climate activists in London over eight days of direct actions that have shut down major parts of the city, including Oxford Circus, Waterloo Bridge, and Parliament Square, Reuters reported. The rallies are the latest in a growing number of climate protests across the globe in recent months, led by youth activists like Greta Thunberg. Electric vehicles will be cost-competitive with combustion-engine cars by 2022, according to a new report by transportation analysts at Bloomberg New Energy Finance (BNEF). The trend is due to the plunging price of EV batteries. Batteries made up 57 percent of an electric vehicle’s total costs in 2015. Today, that number is down to 33 percent, and it is expected to drop to 20 percent by 2025. 4/18/19, The Toll of Tourism: Can Southeast Asia Save Its Prized Natural Areas? Glaciers in the European Alps could lose up to 90 percent of their remaining ice by 2100 if greenhouse gas emissions continue unchecked, according to a new study published in the journal The Cryosphere. If nations do manage to drastically reduce emissions, ice loss would be limited to two-thirds by the end of the century. 4/9/19, As Mass Timber Takes Off, How Green Is This New Building Material? Scientists have developed a building material made of transparent wood that can store and release heat. The material could replace some of the glass traditionally used in homes and buildings, the scientists say, helping to reduce energy consumption. Dozens of non-native marine species have been discovered in the Galapagos Islands, one of the most protected places on the planet — almost 10 times what scientists previously estimated, according to a new study in the journal Aquatic Invasions. The research highlights the growing toll of the region’s booming tourism industry, which reached a quarter-million visitors last year. Scientists say the alien marine species are primarily being transported to the islands on the hulls of tourist ships. The March contiguous U.S. average temperature was 40.68 degress Fahrenheit, 0.82 degress Fahrenheit below the 20th century average.The precipitation total was 2.20 inches, 0.31 inches below average. The combined average temperature over global land and ocean surfaces for March was 1.06 degrees C (1.91 degress Fahrenheit) above the 20th century average of 15.5 degrees C (59.9 degress Fahrenheit). During March, the Northern Hemisphere snow cover extent (SCE) was 39.48 million square km (15.24 million square miles), 1.62% below the 1981-2010 average. The global sea ice extent was 17.71 million square km (6.84 million square miles), 8.99% below the 1981-2010 average. March Lower Troposphere: UAH, +0.34 degress Celsius; RSS, +0.541 degress Celsius. Mid-Troposphere: UW-UAH, +0.358 degress Celsius; UW-RSS, +0.589 degress Celsius; UAH, +0.24 degress Celsius; RSS, +0.332 degress Celsius; NESDIS_STAR, +0.234 degress Celsius. Stratosphere: UAH, -0.48 degress Celsius; RSS, -0.378 degress Celsius; NESDIS_STAR, -0.408 degress Celsius. As of March 26th, 4.69% of the Contiguous U.S. was experiencing drought conditions, 1.03% was in severe drought, 0.00% extreme, and 0.00% exceptional. The Earth's ocean-atmosphere system was experiencing a weak El Niño during March 2019. The upper-level circulation was quite active this month, with the long-wave pattern shifting from a long-wave trough in the western contiguous United States (CONUS) and a long-wave ridge in the East, to a long-wave ridge in the West and trough in the East. Short-wave troughs migrating through the jet stream flow complicated the overall pattern and the transition between long-wave patterns. During March, below-average temperatures were observed across the Northwest and northern and central Plains. Above- to much-above average precipitation fell from California eastward into the Midwest. Some of this precipitation fell as rain while some added to the above-average snow season occurring throughout much of the West and northern Plains states. According to NOAA's National Snow Analysis, the month began with 56.7 percent snow cover across the contiguous U.S.
For March, 4,934 fires (4th least since 2000) burned 130,508 acres (10th least on record), which is 26.5 acres burned/fire (8th most on record). For January - March, 7,091 fires (2nd least since 2000) burned 171,207 acres (8th least on record), which is 24.1 acres burned/fire (9th most on record). A line in a scientific report about what climate change might mean to the UK, which caused a lot of trouble for this reporter 25 years ago, suggested that warmer summer weather would create conditions for malaria to return to the south and east of England. The front-page story said that conditions in the UK for Anopheles atroparvus, the indigenous mosquito most likely to carry malaria, were improving so much that the disease could return in about 2020. Critics considered it alarmist. This event was in partnership with the UK Student Climate Network, Greenpeace UK, Amnesty UK, Campaign against Climate Change, Friends of the Earth, 350.org, NUS, Policy Connect, 10:10 Climate Action, Parents4Future, Quakers in Britain, WWF and the APPG on Climate Change. • What is the Green New Deal and how would it benefit society? 4/22/19, Why are the US news media so bad at covering climate change? 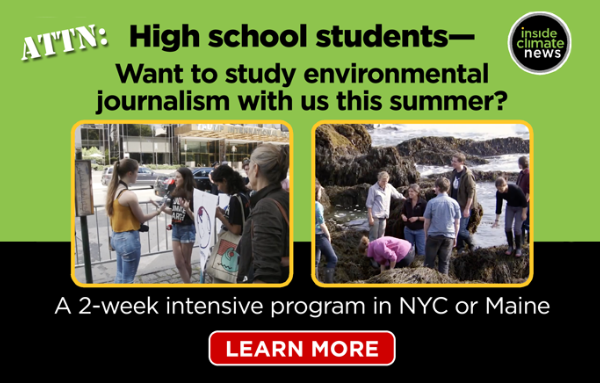 The US news media devote startlingly little time to climate change – how can newsrooms cover it in ways that will finally resonate with their audiences? This article is excerpted from a piece published by Columbia Journalism Review and the Nation. The Guardian is partnering with CJR and the Nation on a 30 April conference aimed at reframing the way journalists cover climate change. More information about the conference, including a link to RSVP, is here. Establish a diverse climate desk, but don’t silo climate coverage. The climate story is too important and multidimensional for a news outlet not to have a designated team covering it. That team must have members who reflect the economic, racial and gender diversity of America; if not, the coverage will miss crucial aspects of the story and fail to connect with important audiences. At the same time, climate change is so far-reaching that connections should be made when reporting on nearly every topic. For example, an economics reporter could partner with a climate reporter to cover the case for a just transition: the need to help workers and communities that have long relied on fossil fuel, such as the coal regions of Appalachia, transition to a clean-energy economy, as the Green New Deal envisions. Learn the science. Many journalists have long had a bias toward the conceptual. But you can’t do justice to the climate crisis if you don’t understand the scientific facts, in particular how insanely late the hour is. At this point, anyone suggesting a leisurely approach to slashing emissions is not taking the science seriously. Make the time to get educated. Four recent books – McKibben’s Falter, Naomi Klein’s On Fire, David Wallace-Wells’s The Uninhabitable Earth, and Jeff Goodell’s The Water Will Come – are good places to start. Don’t internalize the spin. Not only do most Americans care about climate change, but an overwhelming majority support a Green New Deal – 81% of registered voters said so as of last December, according to Yale climate pollsters. Trump and Fox don’t like the Green New Deal? Fine. But journalists should report that the rest of America does. Likewise, they should not buy the argument that supporting a Green New Deal is a terrible political risk that will play into the hands of Trump and the GOP; nor should the media give credence to wild assertions about what a Green New Deal would do or cost. The data simply does not support such accusations. But breaking free from this ideological trap requires another step. Lose the Beltway mindset. It’s not just the Green New Deal that is popular with the broader public. Many of the subsidiary policies – such as Medicare for All and free daycare – are now supported by upwards of 70% of the American public, according to Pew and Reuters polls. Inside the Beltway, this fact is unknown or discounted; the assumption by journalists and the politicians they cover is that such policies are ultra-leftist political suicide. They think this because the Beltway worldview prioritizes transactional politics: what will Congress pass and the president sign into law? But what Congress and the White House do is often very different from what the American people favor, and the press should not confuse the two. Help the heartland. Some of the places being hit hardest by climate change, such as the midwestern states flooded this spring, have little access to real climate news; instead, the denial peddled by Fox News and Rush Limbaugh dominates. Iconic TV newsman Bill Moyers has an antidote: “Suppose you formed a consortium of media that could quickly act as a strike force to show how a disaster like this is related to climate change – not just for the general media, but for agricultural media, heartland radio stations, local television outlets. A huge teachable moment could be at hand if there were a small coordinating nerve center of journalists who could energize reporting, op-eds, interviews, and so on that connect the public to the causes and not just the consequences of events like this.” Moyers added that such a team should “always have on standby a pool of the most reputable scientists who, on camera and otherwise, can connect natural disasters to the latest and most credible scientific research”. Cover the solutions. There isn’t a more exciting time to be on the climate beat. That may sound strange, considering how much suffering lies in store from the impacts that are already locked in. But with the Green New Deal, the US government is now, for the first time, at least talking about a response that is commensurate with the scale and urgency of the problem. Reporters have a tendency to gravitate to the crime scene, to the tragedy. They have a harder time with the solutions to a problem; some even mistake it as fluff. Now, with climate change, the solution is a critical part of the story. Don’t be afraid to point fingers. As always, journalists should shun cheerleading, but neither should we be neutral. Defusing the climate crisis is in everyone’s interest, but some entities are resolutely opposed to doing what the science says is needed, starting with the president of the United States. The press has called out Trump on many fronts – for his lying, corruption and racism – but his deliberate worsening of the climate crisis has been little mentioned, though it is arguably the most consequential of his presidential actions. Meanwhile, ExxonMobil has announced plans to keep producing large amounts of oil and gas through at least 2040; other companies have made similar declarations. If enacted, those plans guarantee catastrophe. Journalism has a responsibility to make that consequence clear to the public and to cover the companies, executives, and investors behind those plans accordingly. This afternoon an international sensation is taking to the stage in central London. She’s young, admired around the world and her name is Greta Thunberg. She’s a 16-year-old climate hero and I couldn’t be more proud to be co-hosting her visit. Greta’s rise to fame has been vertiginous. Last year she skipped school and sat in front of the Swedish parliament in protest against inaction on climate change – and now she is one of the figureheads of a school climate strike movement that has swept the globe, which more than a million young people taking to the streets last month to demand that world leaders step up to this monumental challenge. Over the past few days, I have watched members of the Extinction Rebellion movement block bridges, disrupt public transport and lock themselves to lorries. I have been moved by their bravery and inspired by their message, but puzzled by their strategy. On the face of it, the rebels have been effective. They have disrupted major cities, gained publicity and built bonds of solidarity. But are they achieving their aim of building a more sustainable world? According to Stanford University’s Doug McAdam, the climate change movement has historically been a failure when compared with other movements. Climate activists have struggled to engage politicians, been unable to build influential organisations, and failed to connect with the wider public. The Extinction Rebellion may mark a turning point. The rebels have injected a sense of urgency and emotion back into the issue of climate change, but creating meaningful and long-lasting change requires more. A movement must reach out beyond true believers and connect with a wider base of potential supporters – wherever they might be found on the political spectrum. 4/17/19, Earth from Space review – hold on to your tinfoil hats! ‘From space, the view of our planet is breathtaking,” purrs Chiwetel Ejiofor, who narrates the wonderfully soporific new nature series Earth from Space (BBC One). It is a difficult time for the genre: all the pleasure to be found in viewing our natural splendour is being tainted, somewhat, by an imminent sense of doom and destruction. It’s hard to show beautiful animals without acknowledging that their habitats are at risk of disappearing entirely. Earth from Space does not evade the perils of climate change, and some of its quiet power comes from simply showing the damage being done. It opens with a family of elephants in Kenya, with a calf in danger of starvation and a herd that has barely eaten because of an extreme dry season. These animals are heartbreakingly emaciated. But the rain comes and they make it through. The approach is more gentle than bombastic. Perhaps there is a hope that, in seeing animals in their glory, we might take more care of what we have. James Cook University is considering its legal options after the federal circuit court ruled it had unlawfully sacked a professor who had criticised scientific research about the climate change impact on the Great Barrier Reef. Unusually warm water in the eastern Pacific, along with a weak El Nino, have supercharged storms across the United States, flooding farm fields and infrastructure, including Offutt Air Force Base. Climate change is making things worse because the heat puts more energy into the atmosphere and allows it to hold more moisture. More American are breathing air that's polluted enough to make them sick, according to the new edition of the American Lung Association's annual report. The country had been making progress, but it has been backsliding under the Trump administration's deregulation agenda, the report says. President Trump is considering waiving the requirement that only U.S. flagged vessels can move goods between ports within the U.S., which would allow for more liquefied natural gas to be delivered to Puerto Rico and parts of the Northeast. The Interior Department's inspector general has started a new investigation into political appointees at the agency in response to a complaint alleging senior political appointees in the department violated ethics rules by offering former employers or lobbying clients agency access. In numerous states, companies with large investments in nuclear energy, like FirstEnergy in Ohio, have lobbied states to reconfigure their clean-power incentives to subsidize existing nuclear plants, rather than the emergent technologies that the laws were intended for. The result is a stream of subsidies to nuclear power plants. Courts are playing an increasing role in climate change action in countries around the world, marking a shift to what was once widely seen as a political issue. More than 1,300 climate change-related lawsuits, many targeting governments or corporations, have been filed worldwide since the 1980s, with a surge in recent years, the Washington Post reports. The cooling towers of a now-closed coastal Massachusetts coal-fired power plant are being demolished this month to make way a new energy project: a staging area for offshore wind turbines to be assembled before they're shipped out to sea. A growing number of scientists and activists are taking dramatic steps to decrease their personal carbon footprint. But stopping the activities that make the greatest difference, including flying and driving, is challenging. A few countries in cold climates, including Canada, Norway and Russia, likely benefited economically from global warming in recent decades, while poorer countries closer to the equator suffered economic losses, a new study says. What that looks like going forward is less clear. Arctic warming will cost trillions of dollars to the global economy over time as the permafrost thaws and the sea ice melts—how many trillions depends on how much the climate warms, and even a half a degree makes a difference, according to a new study. Greenland has lost ice at an accelerating pace over the past several decades, a nearly sixfold increase that could contribute to future sea level rise, according to a new study based on nearly a half-century of data. Nevada Gov. Steve Sisolak signed a bill Monday that sets a goal of getting all of the Silver State's power from carbon-free sources by 2050 and requires 50 percent of its supply to come from renewables by 2030. It joins California, Hawaii, New Mexico and Puerto Rico in committing to 100 percent clean energy. The Washington State Legislature passed legislation on Monday that would eliminate coal power by 2025 and transition the state to 100 percent clean and renewable electricity by 2045. The bill heads to Gov. Jay Inslee, who is expected to sign it. U.S. senators are fighting over the details of an approximately $13 billion disaster aid package to help U.S. states and territories hit by flooding, wildfires and hurricanes in recent years. Taxpayer spending on the federal disaster relief fund is almost 10 times higher than it was three decades ago. Former New York City Mayor Michael Bloomberg said Monday that he would donated $5.5 million to the United Nations Climate Change Secretariat, the second year in a row he has provided funding to make up for lapsed commitments under the Trump administration. Young voters care about stopping climate change, even if it slows economic growth, according to a new poll from the Harvard University Institute of Politics. The poll found that young voters are more divided, however, on how they think the problem should be addressed. Less than a third say they back solutions like those proposed by the Green New Deal. If our journalism is important to you, will you make a tax-deductible contribution today? If nations don't choose more ambitious emission controls, the eventual damage may approach $70 trillion, it concluded. Countries close to the equator have suffered economically while a few wealthier countries in cool climes gained, an economic analysis of global warming impacts says. A few countries in cold climates, including Canada, Norway and Russia, likely benefited economically from global warming in recent decades, while poorer countries closer to the equator suffered economic losses, a new study says. The findings suggest that climate change has exacerbated global inequality, causing the most economic harm to those who did the least to cause it. But what the future will look like is less clear. Research has shown that over the long term, just about every part of the world will suffer as global temperatures rise. A federal judge delivered a significant setback to the Trump administration's policy of promoting coal, ruling that the Interior Department acted illegally when it sought to lift an Obama-era moratorium on coal mining on public lands. Read more from ICN about the presidential candidates who are calling for an end to new fossil fuel leases on public lands. New carbon capture technology that draws carbon dioxide out of the air is getting increased attention as new tax credits provide as much as $50 for every ton of carbon dioxide captured. 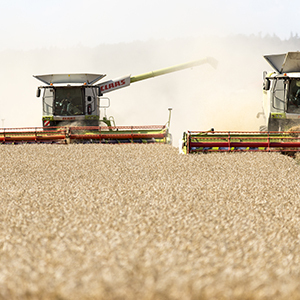 The technology is diverting attention from cheaper, more scalable approaches such as better land use and forestry practices, scientists say. Virginia regulators have voted to join the regional carbon cap-and-trade program RGGI, a move that could lead to cutting carbon emissions from the state's largest power plants by 30 percent. But Republican lawmakers are trying to use the state budget to effectively prevent that from happening. State health inspectors with infrared cameras dropped in on about 2,000 oil and gas operations across Colorado last year and found leaks of heat-trapping methane and volatile organic gas at 13 percent of them — half the frequency found five years ago. But while individual sites are emitting less air pollution, there's a lot more production. China's green light to build more coal-fired power plants probably won't usher in a flurry of new construction as most policies and investments in the top energy user will tilt toward renewable sources, Morningstar analysts say. More than 80 percent of parents in the U.S. support the teaching of climate change in school, according to a new NPR/Ipsos poll. Read more from ICN on what a national teachers group says about efforts to prevent climate education. A new study explores how to prevent a sixth great extinction and stop climate change at the same time. Forests, tundra and other ecosystems play critical roles. For years, experts in conservation and climate science have urgently pursued two parallel paths—one to interrupt a large-scale extinction event, the other to avert a runaway climate crisis. Now, an international group of scientists is proposing a third way that marries the two in an ambitious plan they hope will save the species that make our planet so rich—including ourselves. Warren's and Sanders' proposals to end new coal, oil and gas leases on federal land is bold, but voters shouldn’t expect an immediate impact. Updated with a federal judge ruling on April 19 that the Trump administration's reversal of an Obama-era moratorium on coal leases was illegal. Sen. Elizabeth Warren this week became the latest major presidential candidate to promise to halt all new leases for fossil fuel development on federal lands if elected. She said her moratorium would extend to new offshore oil and gas leases, and that she would pair those changes with initiatives to boost production of renewable energy. New York City just approved what's being described as one of the biggest urban emissions cuts in the world. It's one of several climate solutions we're looking at this week. Read on. For years, conservation and climate experts pursued parallel paths — one to interrupt a large-scale extinction, the other to avert a runaway climate crisis. What if they worked together? Designing a blueprint others could follow, the city found ways to cushion costs for low-income residents, create jobs and cut emissions as a "downpayment on the future." 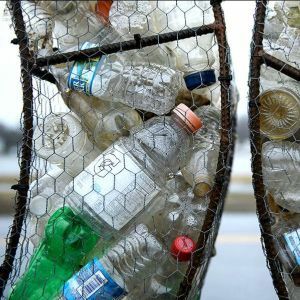 Every stage of plastic's life cycle, from fossil fuel extraction to disposal, produces greenhouse gases. These scientists looked at ways to reduce the climate damage. —Eric Dinerstein, author of a paper detailing a Global Deal for Nature. New York City set an ambitious new standard for combating greenhouse gas emissions on Thursday, approving a package of climate policies designed to slash energy use in big buildings—the top polluters in the nation's biggest city. Supporters say the bills represent the largest emissions cuts adopted by any city worldwide and offer a template others can follow. AreWeToast sites are licensed under a Creative Commons Attribution-NonCommercial 4.0 International License. Rights to the content of Climatechange-news.com are held by the individual providing sources who determine the reproduction rights and attribution requirements.